Roussell was also given the Ironman award. The Heartbeat of the Hawk award, given in memory of former Freshman Coach Craig Wilson was given to Jordan Bries. The Sophomore Coaches award went to Drew Wubbena. The Sophomore Leadership award went to Dunstan Werner. Bennett Cole received the Hawk Pride award; The Coaches awards were given to Max Ridenour and Kyle Curley; and the Strongest Players Pound For Pound are freshman Mitchell Mangold, Sophomore Jared Helle, Junior Tyler Chapman and Senior Coy Roussell. Coach Winkowitsch also pointed out that this year’s seniors have never lost a game on Brown Field from 7th grade through this year. 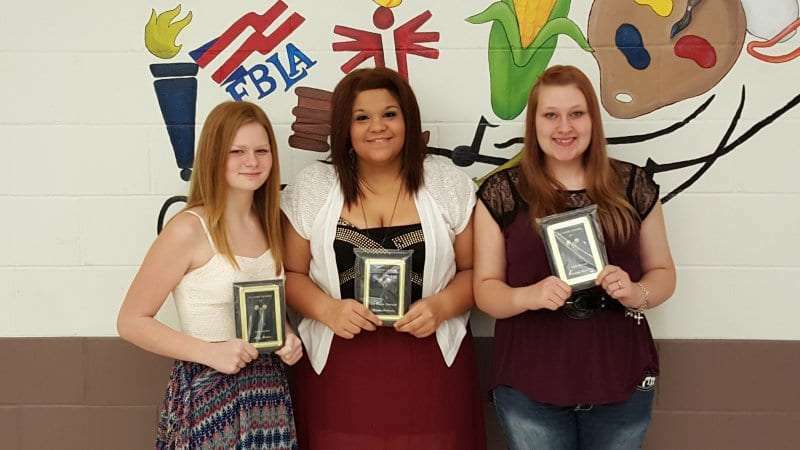 For the Cheerleaders: Brianna Hartman and Addy Rieken were named “Most Spirited”; “Most improved” was awarded to Sydney Bliss; and Keisha Robinson was named “Most Valuable Cheerleader”.